Restaurateur Jonathan Barthelmess will open his much anticipated Brisbane venture GRECA on December 8, 2018 with the focus on great food and fun. Situated within the heritage Howard Smith Wharves precinct, Barthelmess has created an interactive dining experience with an authentic village feel for the city’s new waterfront entertainment mecca. 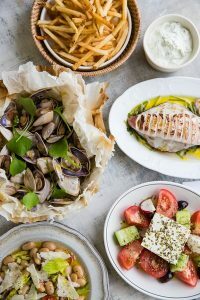 A contemporary take on the traditional Greek taverna, the menu is focused around communal eating and pays homage to the Mediterranean generosity that sister Sydney restaurant The Apollo is renowned for. GRECA will offer a menu fitting to the north coast’s warm climate and one that celebrates the abundance of exceptional local produce. Think generous bowls of mussels and pipis, whole spiced prawns by the gram, platters of organic braised vegetables, house-made dolmades and aromatic lamb skewers. Food will be cooked over wood and fire and in an oven built from stone while always embracing the timeless simplicity of traditional Greek flavours. The restaurant will feature an abundant seafood display with waiters roaming the floor with baskets of fresh fish. Guests will be able to choose from some of the best produce in the country and then select how they’d like it cooked. 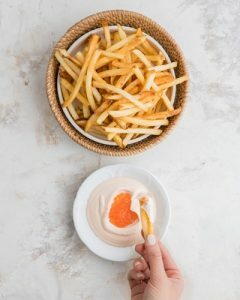 Lovers of The Apollo won’t be disappointed with many of the classics like the wild weed pie, tarama, baked lamb shoulder and the iconic sakanaki cheese making the journey to Queensland, but don’t expect a copy paste. Dishes will showcase an evolved plating style and lighter flavours to reflect the waterfront location – remixed with a Greca touch. The timeless indoor-outdoor trattoria, designed in collaboration with renowned interior architect George Livissianis, is complete with an open kitchen and fire pit, serving the type of Greek food that conjures thoughts of a Mediterranean island village. Embracing the warmer climate, tables will spill out into the open air, while core timber components are retained in the spartan interior, brought to life with Mediterranean whites, polished concrete floors and simple furnishings. 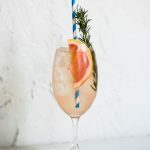 GRECA’s largely Mediterranean wine list also promises a satisfying drop for every palate, plate and budget, while its cocktail offering sets the scene for sundowner sessions that inevitably fold into late night suppers. Sitting on the cusp of the bustling CBD and with views over the picturesque Brisbane River, GRECA promises to be an exciting new destination for locals and a drawcard for visitors to the city. GRECA is now taking bookings from 8 December onwards, to reserve a table or make a group booking please visit greca.com.au or call 07 3839 1203.